Gregory S. Martin, Managing Partner - Martin|Hild, P.A. Mr. Martin represents clients from contract preparation, review and negotiation through ultimate dispute resolution including litigation, arbitration and other alternative dispute resolution procedures. He also acts as external general counsel to certain clients addressing and providing advice on a wide range of issues particular to the construction industry. 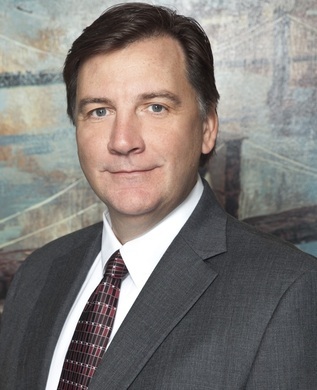 Since the start of his career, Mr. Martin has actively participated in trials, arbitration and administrative hearings throughout Florida as well as in the federal system, other states and territories. 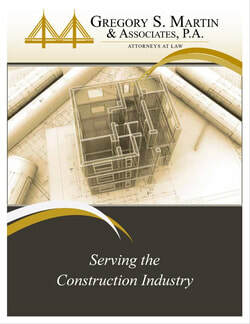 The Florida Bar; The California Bar; The Georgia Bar; American Bar Association (Forum on the Construction Industry); Federal Bar Association; The Orange County Bar Association; Associated Builders and Contractors, Inc.; Associated General Contractors of America; Florida Transportation Builders Association, Inc.